Which housing and strobe for a Sony RX100 VA? I am getting a new Sony RX100 VA to replace my Canon S95. 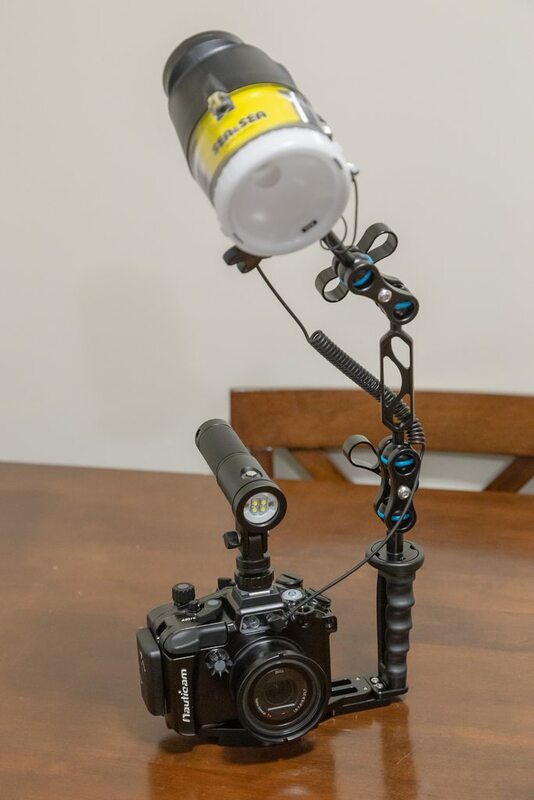 I was originally planning on a Fantasea housing and an Inon S-2000 strobe all mounted to an Ultralight TR-D tray with generic arms and ball clamps. I just found out today that my bonus this year will be better than expected so that opens up the possibility of upgrading the gear. I am now considering the Nauticam housing and a Sea & Sea YS-D2J all mounted on a Nauticam Flexitray with Nauticam arms and clamps. The Nauticam housing I am liking as aluminum should be much more resilient than polycarbonate. I am leaning towards the YS-D2J as it will be more powerful and has a target light built in. Also, it will survive a battery compartment flood whereas the Inon will not. Going with the second option will be more expensive so here is my question. Will I, as a novice diver who will only dive 4-6 times per year, see enough benefit to justify spending the extra money on this set-up? When you say you only dive 4-6 times a year, does that mean 4-6 trips or 4-6 dives?? In my opinion it all revolves how much use it will get to justify the cost. Just because you have a Nauticam housing instead of a Fantasea housing won't make any difference to the end result. If you are only doing 4-6 dives per year I would suggest the cheaper option would be ok. In my opinion as far as the strobe goes I would always recommend on spending as much of you budget as you can on the strobe. But that does depend to some degree on what you are wanting to photograph? If it is macro you are interested in then you can use small strobes. If you want to take wide angle pictures you will need more output from your strobes and you will need two. Unfortunately no one can probably give you a definitive answer to your question, it boils down to what you intend to do in the future and what your budget is. 4-6 dives per year is what I have averaged, not trips. I just feel like long term the Nauticam housing should last longer but who knows, maybe the camera won't last that long anyways so it would be a moot point. I tend to shoot mostly fish portraits and wide angle shots, not much macro (yet). I know two strobes would be better but that would be too much bulk as we tend to backpack and need to travel light. That's why I am leaning towards a single strobe with more power for now. The Nauticam tray would give me the option to easily add a second strobe at a later date if I find it neccessary. The Nauticam/YS-D2J option is stretching my budget as much as I can but as I get older I find myself leaning more towards the buy once, cry once philosophy. I believe the Sony housing for the RX series works for the rx100 vi va. Most people probably go through this same dilemma as I did, and probably end up spending a lot of cash before they are happy with the set up they have. It is a learning curve and as you learn you realise you want better pictures so you add things then upgrade systems etc etc... The biggest difference is I was probably doing 100 dives a year and now closer to 200 so for me it is much easier to justify the cost. 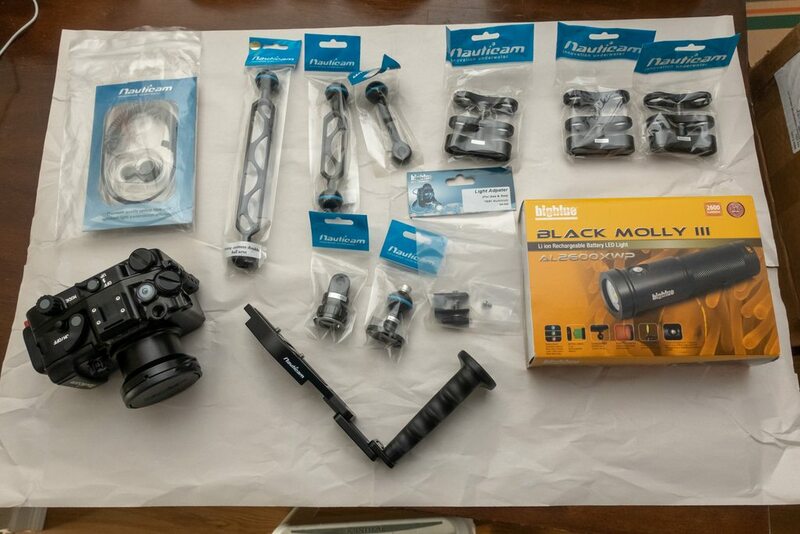 What you have to ask yourself is do you have the spare cash to spend on the difference between the Nauticam and Fantasea bearing in mind it will be used 6-8 times. Only you can answer that. I would go for two lower power strobes over a single higher powered, in general it produces better lighting with less harsh shadows. With a compact the demand on the strobe is much less than a DSLR as you don't need to stop down so much to get the DOF on a smaller sensor. The crop factor is 2.7 so if you shoot at f4, that's equivalent to f11 on a full frame camera for depth of field. The other consideration is balance, the YS-2 J is almost as big as the housing, while S-2000 is very compact and is less demanding on the arms as it is lighter. 20 GN vs 32 is not such a big difference. You also need to look at the beam angles, the YS-D2 GN is 32 with an 80x80 beam angle on the YS-2J it reduces to 24 to get the 100deg beam angle with a diffuser. The S-2000 is 105 x 95 deg bare and GN 20. The diffuser to get 110 deg beam angle reduces GN to 17. Compared to the YS-2J that's about 1 stop difference with both diffused. I am aware that two strobes would be preferable but as I said, I have to travel light. I have multiple thousands of dollars into my main camera system which is a Canon 6D full frame camera with a full range of lenses so I am not afraid to spend a bit extra as long as the quality is there to justify it. But when I do travel the kit that comes with me has to fit inside a Tenba BYOB 10 camera bag insert which then goes into the 15L zip off daypack portion of my Osprey Farpoint 70 pack. I was debating a pair of S-2000s but I don't think I would be able to carry it all as easily as I would like. My reading indicates that the YS-D2J with the 120 degree diffuser is still a guide number of 20 which would give me better coverage and more power than either the S-2000 or the YS-01. Edited by thegrandpoohbah, 22 November 2018 - 08:04 AM. A couple of boxes of goodies arrived today. Thought I'd share what I ended up with.